Bernard Warber started his Lyle books at a time when there was segregation in America (through the late 60s). Some of the books reflect discrimination and dislikes of differences, perhaps a sign of the times when this series began. While teaching the activities with Lyle, Lyle the crocodile books, include teaching about the harm of discrimination. The focus of these activities with Lyle, Lyle, Crocodile books will be to teach the qualities of heroism and good citizenship that the character of Lyle possesses, a timeline, an introduction to a social studies unit on American heroes and to celebrate the heroes in our lives with a hero party. 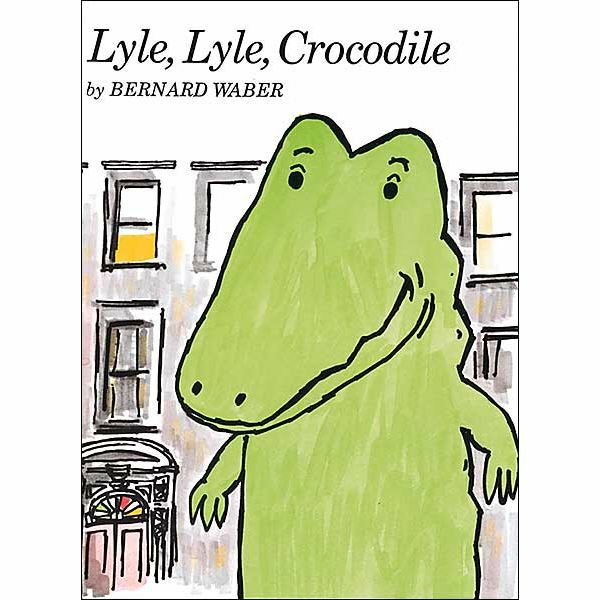 In Lyle, Lyle Crocodile, Mr. Grumps decides to do something about "that crocodile" and has Lyle committed to a zoo. After Signor Valenti saves Lyle, they return to the house on 88th Street one last time and find that Mr. Grumps' house is on fire. Lyle saves Mr. Grumps. In Lovable Lyle, Clover keeps sending Lyle hate mail because, "[Her] mother said I am not allowed to play with crocodiles." Mrs. Hipple (Clover's mother) shows disgust for Lyle as she calls him a "monster." In the end, Clover is at the lake drowning and Lyle saves her. In Lyle at the Office, Mr. Biggs gets upset with Mr. Primm for not allowing Lyle's picture to be on a cereal box and fires Mr. Primm. In the end though, Lyle saves Mr. Biggs from falling from a chandelier as Mr. Biggs' ladder fell and he had no way of getting down. Use the Lyle books to teach about timelines. Because the books were written in a series over several years, this is a fun activity for students to learn timelines and how a book series is often authored over a span of years. Read the stories in the series. Photocopy the book covers and laminate them (to create a self-correcting game, print the year of publication on the back of each page). Print the year of publication of each book on an index card and laminate all of the cards. Have the students match the publication year to the book cover and then put them into sequential order to create a timeline. Older students should chart the timeline independently and research the history of what was happening in the year the book was written. TeAchnology offers an online timeline maker, which older or advanced students can use and print or the teacher may choose to create one to use as a teaching model. The House on East 88th Street. 1962. Lyle and the Birthday Party. 1973. Lyle Finds His Mother. 1978. These are also great book titles to add to a collection of picture books on problem and solution. Let's continue with Lyle, Lyle activities on page two. Define heroism. Heroism involves courage/ overcoming fear, sacrifice and nobility. Define good citizenship. Lyle showed compassion, courage and respect for others as indicated by the examples on page one. Create a word web of characteristics Lyle has that show he is a hero and a good citizen despite how he was treated. For younger students, make a predictable chart, such as, Lyle was ________. This is a good opportunity to include writing descriptive words from the text. Have the older students write why Lyle the crocodile was a hero and how the student can be a hero in his or her life. Compile the student work into a book to make a great classroom display for the next activity, a hero party. Teach about real life American heroes. This should include Martin Luther King, Jr., especially as he was a peacemaker, wrongly judged in the 1960s. Ask the students if they have a hero in their personal life and why. Each student must be able to speak about why this person has been a hero. To honor Lyle and how he exemplifies heroism, throw a "You Are My Hero" celebration. Students decide who they would like to invite to the party. This can be anyone they know, such as a family member, school faculty member or church member who is their hero. Download the You Are My Hero invitation by, Laurie Patsalides to plan the celebration. Have the students complete the form (except for the last line; the form should be returned). Decorate the classroom, with pictures of heroes (including Lyle!). Here is a great download of a picture of Lyle to use to decorate the classroom (scroll down to the last page; you may also enjoy using these Lyle activities). Create a thank you banner; invoke student help and elicit help from the Art teacher. Have each student sign it. Plan time to teach the students the song, "The Wind Beneath My Wings" by Bette Midler. Write the words on chart paper. Elicit help from the Music teacher to teach the song. Have the room fully decorated. Have the student-made books on display. Also include books you have read about Lyle, heroes, and good citizens for display. Begin with a short speech as to why the celebration is being held. Choose a student to speak about why Lyle is part of the celebration. Have the students sing the song. Each "hero" should leave with a carnation and/or an award at the door. Take photos as this activity makes for a great slide show at the end of the school year. To conclude these activities, review how a book series is created and what it means to be a hero and good citizen.